Salisbury Mills bed and breakfast travel guide for romantic, historic and adventure b&b's. 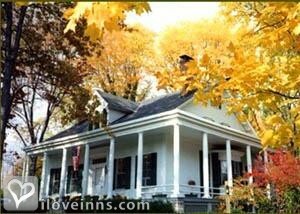 Browse through the iLoveInns.com database of Salisbury Mills, New York bed and breakfasts and country inns to find detailed listings that include room rates, special deals and area activities. You can click on the 'check rates and availability' button to contact the innkeeper. Salisbury Mills is considered as one of the best retreats for those living and working in the frenetic world of New York City. Salisbury Mills offers many natural attractions that allow one to commune with nature. This locality is nestled near the Hudson Valley, which is known for its lush greenery, sparkling streams and scenic rivers. Because of this, visitors expect many opportunities for outdoor activities, such as hiking and biking. There are balloon rides offered as well. These could be arranged from Salisbury Mills bed and breakfast inns. For sightseeing, visit the Moodna Viaduct, Hudson River, and Bear Mountain Bridge. By Caldwell House Bed & Breakfast.